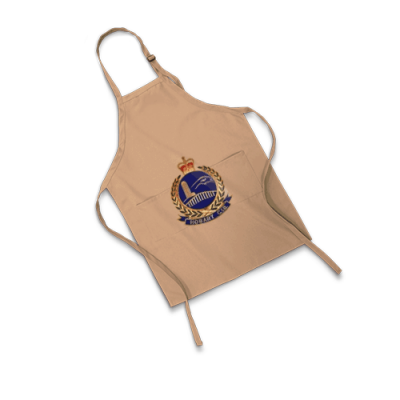 Need Aprons for your Waiters, Business, Trade Shop or Training Facility? Personalised and Custom Branded, Buy Yours Today! Coastal Direct Promotional Products provide a great range of quality, vibrantly coloured personalised aprons; Perfect for promotional and corporate branding as well as professional uniforms displayed to the general public. Classic Bib and waist styles to choose from with or without pockets. Either screen printing or embroidery of your logo will never look better branded on one of our custom aprons! Coastal Direct Promotional’s friendly staff are always ready to process your online inquires or calls. With highly competitive pricing and fast turnarounds as well as unbeatable customer service at your finger tips; Why delay? Give us a call or submit your online request today! Branded aprons are perfect for your waiter and kitchen staff, trade shops, school cooking, woodwork and metalwork class rooms. Universities and technical trade schools will also benefit during practical training environments. With free local delivery and cost effective shipping solutions Australia wide, place your order today!